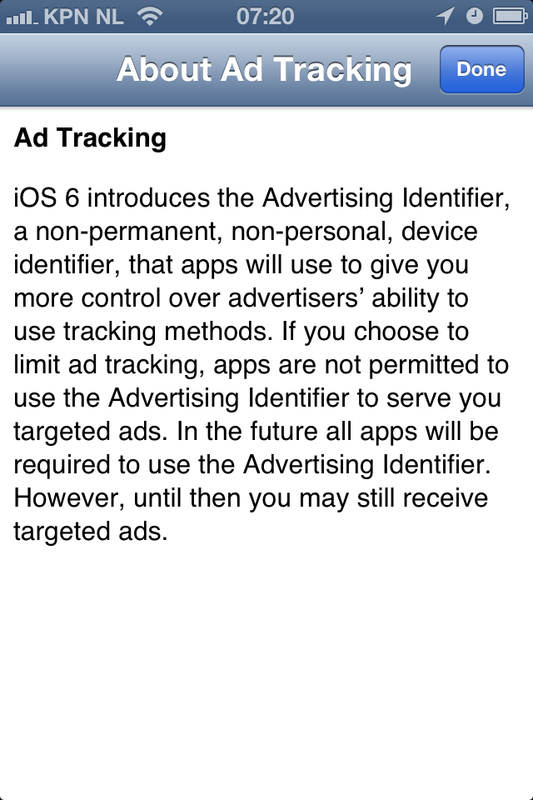 I found this link, which describes an interesting new feature on IOS6. This new option to enable IFA which stands for “identifier for advertisers”, helps advertisers with giving them an unique ID so they can ad targeting that user. 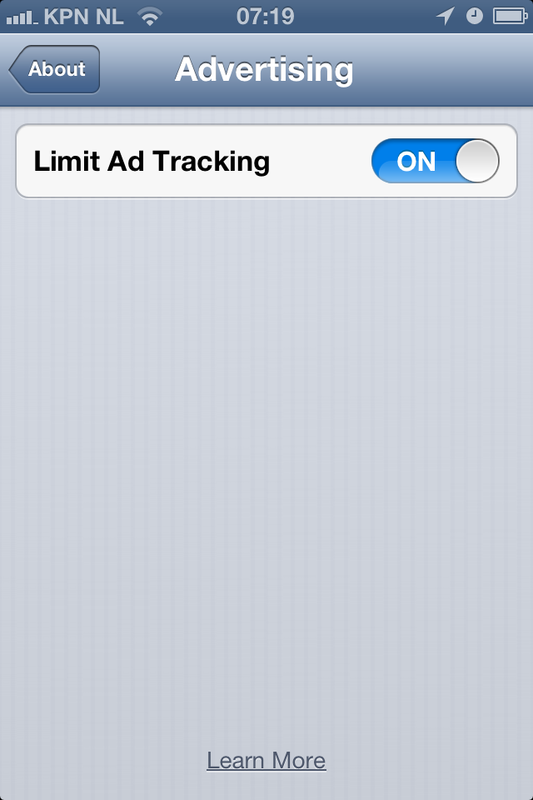 Setting -> General -> About -> Advertising; in this menu you can put Limit Ad Tracking to ON.